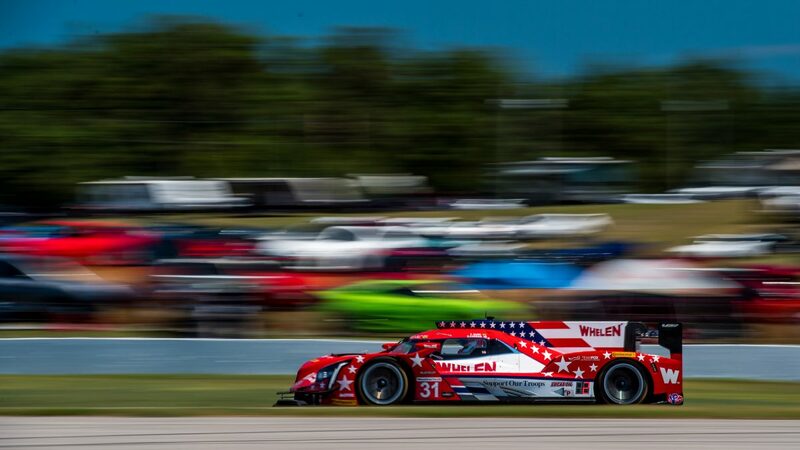 Bowmanville, Ontario (7 July 2018) Felipe Nasr and Eric Curran extended the run of strong performances for Whelen Engineering at Canadian Tire Motorsport Park (CTMP) after taking third place in the CTMP SportsCar Grand Prix on Sunday. 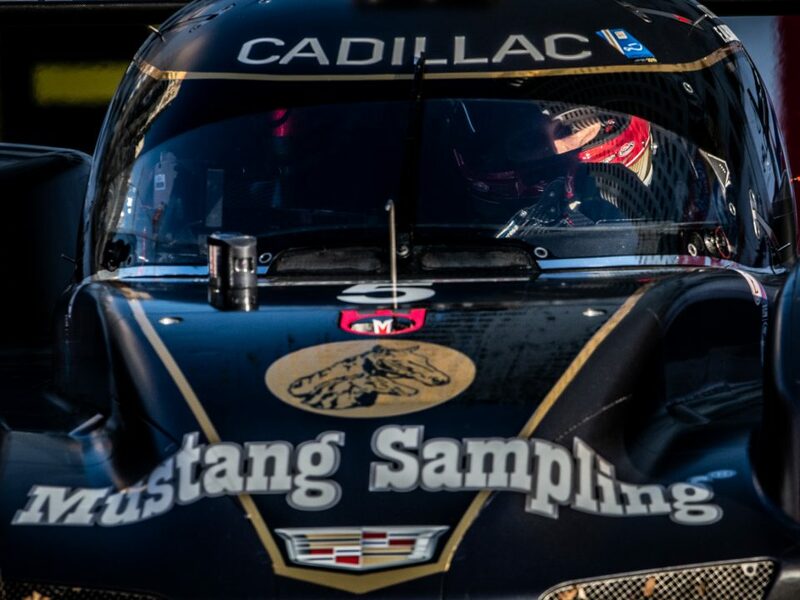 The podium result is the third in a row for the team at the high-speed circuit set in rural Ontario, having brought the Whelen Engineering Racing entry victory in the 2016 and 2017 CTMP events. 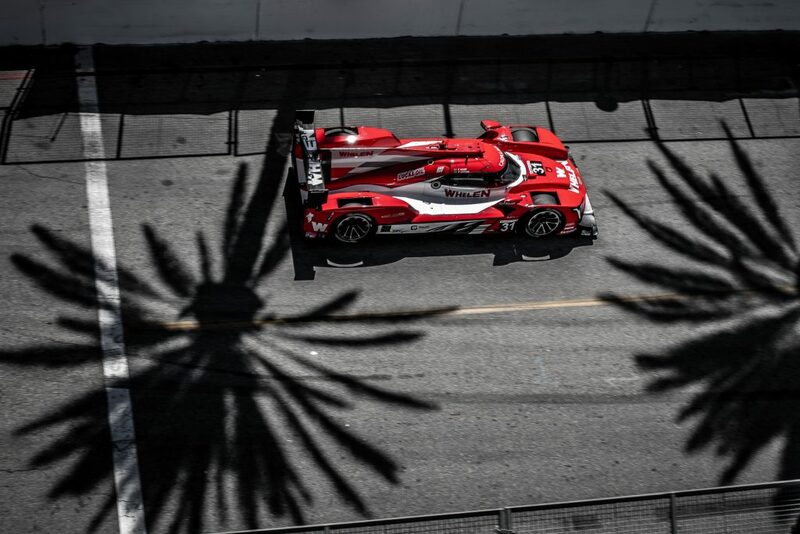 The outcome was far from what was envisioned before the race start, as the No. 31 Whelen Engineering Racing DPi-V.R started the race from 11th on the starting grid. 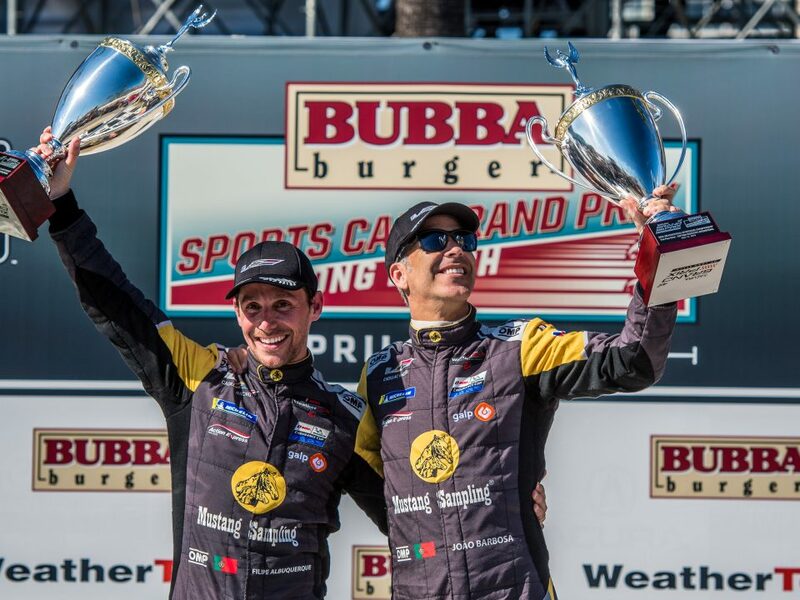 But with shrewd pit strategy, outstanding pit lane execution, and strong race pace, the team fought forward to earn a new trophy and a champagne shower for Curran and Nasr, who moved to the top of the provisional IMSA WeatherTech SportsCar Championship standings with the result. Curran, who has won at the Canadian circuit in a range of different race machines, opened the race from 11th on the grid as the race set into an early rhythm. 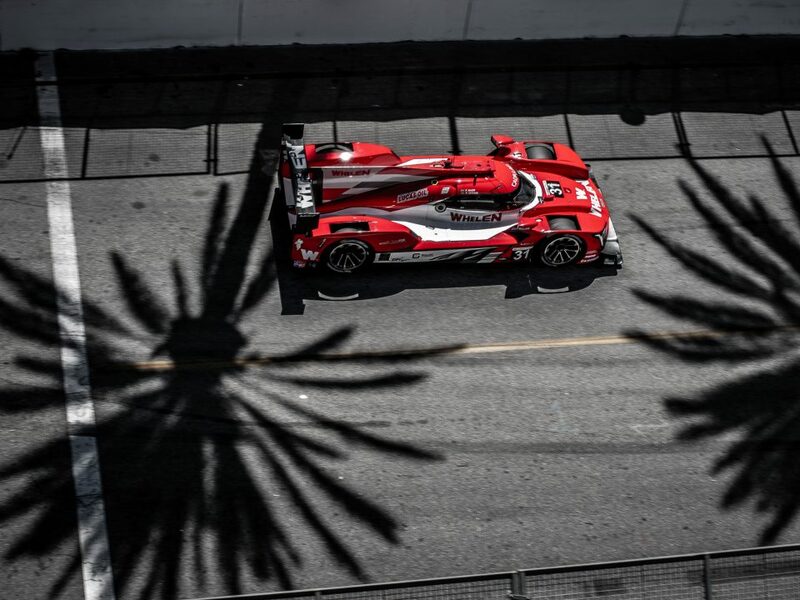 The packed three-class field once again put track position at a premium with lap times for the top Prototypes just over one minute a piece. Keeping that in mind, Tim Keene, performance engineer for the No. 31 entry, called Curran in for a stop on lap 18. The timing was ideal as a full course caution soon appeared as Nasr took the controls and returned to the field third in the order for the restart. Making his first start at the track, Nasr made the most of the tack position to hold strong despite the relentless pursuit of the field. Fighting through five more restarts after full course cautions, Nasr raced his way to the finish to score third at the checkered flag. The podium is the fourth of the 2018 season for the Whelen machine as the duo now look ahead to Road America in August. 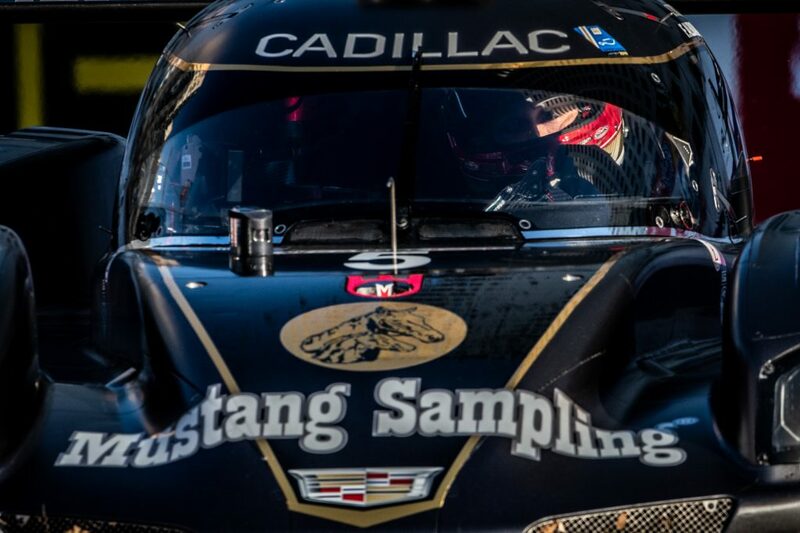 Next up on the IMSA WeatherTech SportsCar Championship schedule for the team will be the Continental Road Race Showcase at Road America on August 3-5.